I’m searching for a new bedroom set and recently got distracted by a set at Crate and Barrel in Oak Brook. The bed alone breaks my “ideal” budget, but the Del Re furniture collection has been on my mind since the day we met. The collection is made from “solid, renewable bamboo” (so its kinda good for green-ies). The 2-tone finish features a “rich coffee satin finish” with an “espresso satin finish” for the trim. While the price isn’t right (the nightstand alone costs more than my entire current bedroom set), the look is ALL ME. Guess I’ll add it to my “Wish List”…. The search continues…. Everything is achievable why not ask the store if they do layaway? Find out the terms, the length of time they would allow you to pay it off, sometimes you might even be able to negotiate the time frame and work it into your budget and pay it off bi-weekly, weekly or monthly depending on how you are paid. It doesn't matter how long it takes you to get it, and it matters less that you achieve it through layaway all that matters is that you planned for what you wanted and you accomplished it. That’s my suggestion, it’s not impossible, it is doable. Rhapsody, that's a very good point… its definitely do-able! 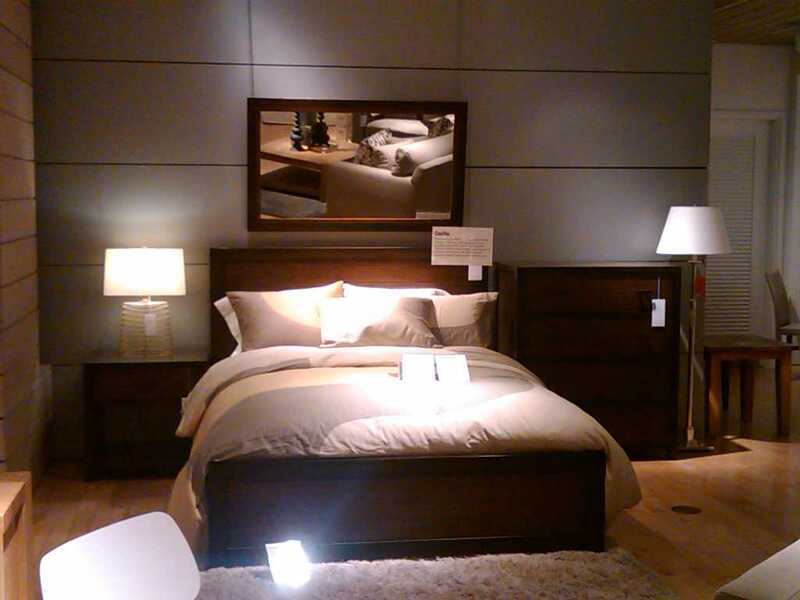 I think the harder thing for me is convincing myself that a bedroom set could possibly be worth that much… LOL!